I do not own a single sweatshirt (ok, except for a few L.A.M.B. pieces from the first and second seasons) and I do not wear sweatpants. On my lazy days, this is what I look like. I was in a hurry and did not plan out what I was going to wear the night before, so I put on a knit top and some high waisted shorts, and grabbed my cozy sweater coat to throw on top. 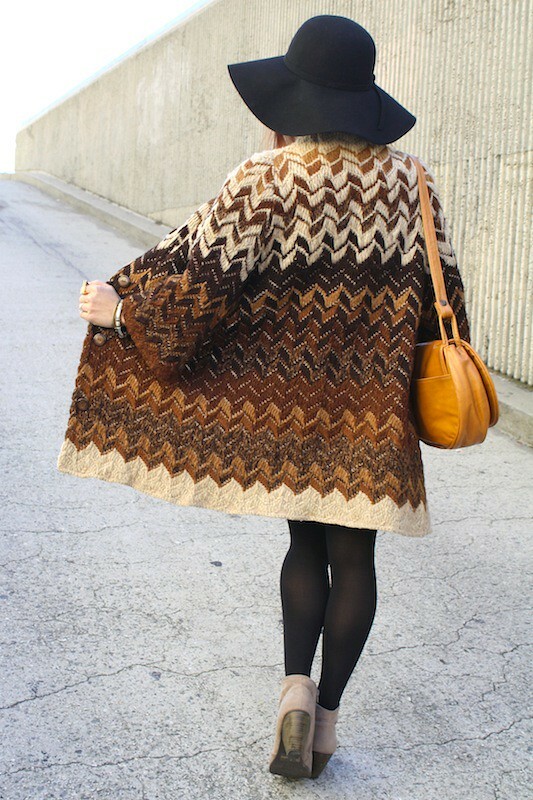 Don't you love how the zigzag sweater coat is oh so Missoni? I love it! Honestly, I didn't even plan on/feel like taking photos but my friend Jackie encouraged me to... and I am glad she did, I liked how these photos turned out! Impromptu at its best! Vintage 60s sweater coat from Nest Design Studio. Suede high waisted shorts from F21. Vintage mustard leather purse from Buffalo Exchange. Woven chain bracelet, two toned metal bracelet, gold armor ring from F21. Gold dragon cuff, multi stone ring, geometric ring from my work Sway. Lovely coat so very 70s. So pretty! 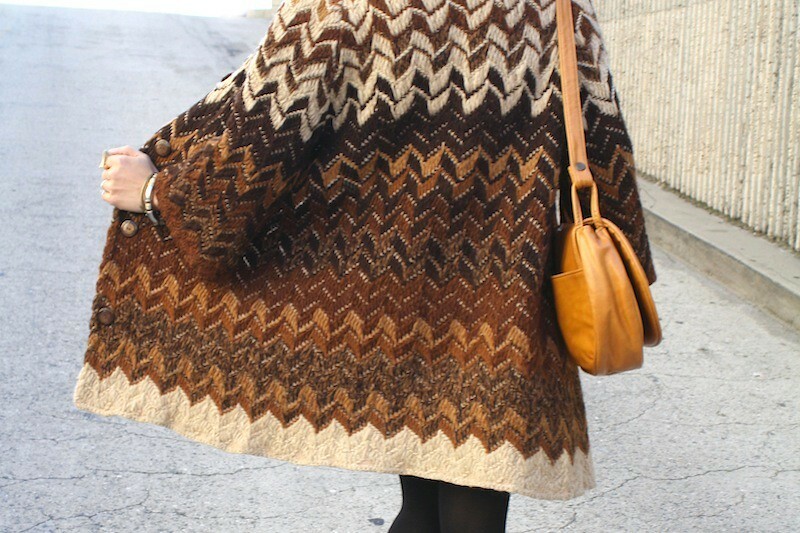 That knit is beyond amazing! Looks smashing on you! love those suede shorts so much! And your shoes is fantastic..
its gorgeous, and its very Misoni I agree... U look effortless and chic! Great pictures ! I love it! Gorgeous outfit! I love the colours, they fit perfectly together!